Emily’s DJ experience spans from playing dive bars, special events, underground parties, and on-air streaming radio. 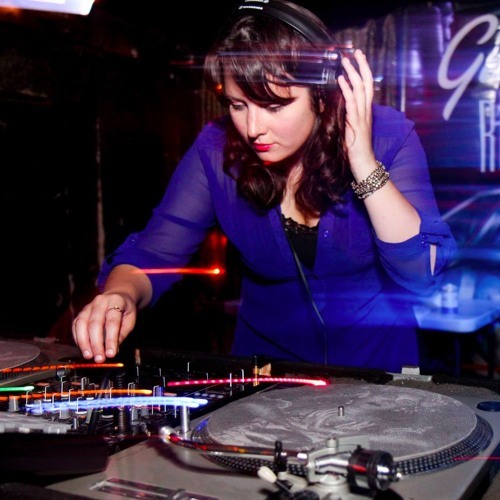 She mixes with CDJs and appreciates a wide variety of music from soul to house to disco and funk. Emily frequently mixes alongside Sergio Fedasz as The BeDazzlers for various disco happy hours and nights around the Bay Area. The BeDazzlers have played Nightlife at the Academy of Sciences, Pride events, as well as San Francisco Magazine’s Best of the Bay annual event. A co-founder of the bi-monthly Italo-disco party Galaxy Radio, Emily’s unique dance sound can be found every other month at The Knockout alongside the Galaxy Radio crew. Bad Girl Beats is a weekly online radio show through Radio Valencia airing 6-8pm on Mondays. DJ Emils explores rare and unique disco, electro-funk, Italo-disco, and house jamz as well as showcases live mix sets from local Bay Area DJs. Tune in on Radio Valencia FM or download the app and listen directly from your phone.